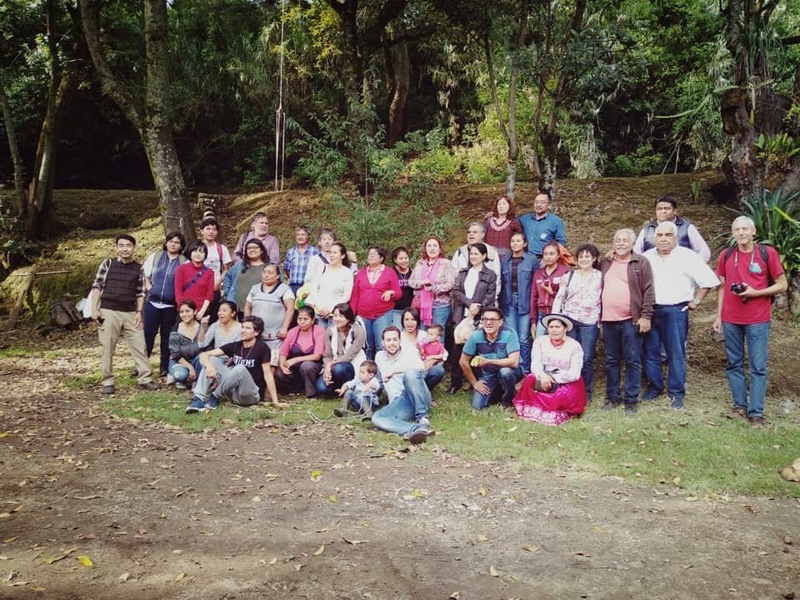 This is a guest post from Lucinda Duy Quishpilema on her trip to Mexico supported by FOE. More details in English from our last post from Alan Adams. 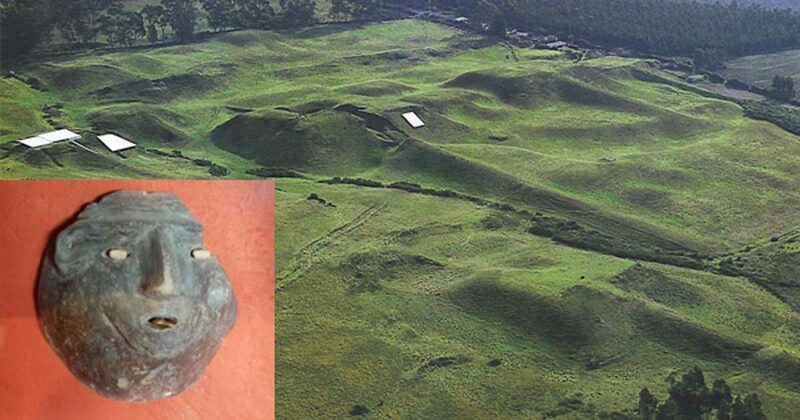 En la región sur de Ecuador, los que habitan en el territorio del pueblo kichwa cañari y cañarense, según los investigadores de la ciencia andina y occidental consideran que culturalmente fueron y aún siguen siendo graneros, es decir el sistema de producción y/o la agricultura familiar cañari en cada ecosistema fue y aún practican la asociación, rotación y la diversificación de la producción tomando muy en cuenta el tiempo y el espacio. 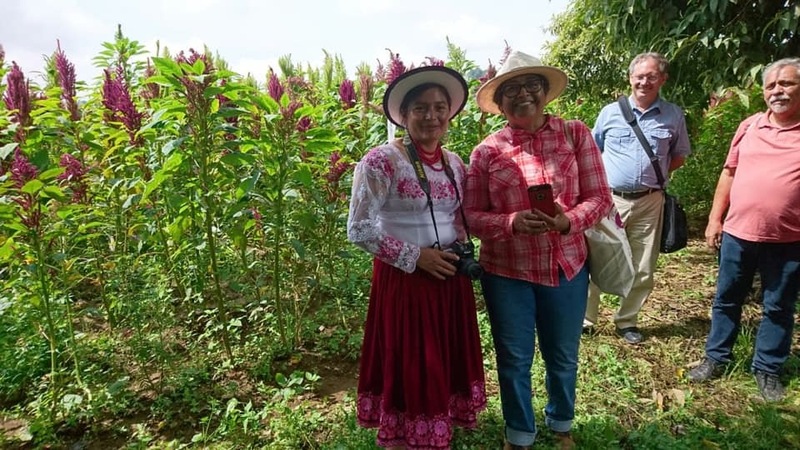 This is a guest post from Alan Adams on FOE Support for Lucinda Duy Quishpilema’s participation in an amaranth conference in Mexico. The next post will have Lucinda’s report. What Lucinda learned in Mexico she is already putting into practice. Last week she harvested 7 quintales of her own amaranth with her family. They separated about 50 lbs of the best for seed. Now Lucinda is preparing the products she learned about in Mexico. This is just the beginning. Before the Congreso opened, Mushuk Yuyay received a gift of 3 varieties of amaranth seed from Oaxaca, Mexico and 4 varieties from Guatemala. This will probably be planted next month, weather permitting. Getting Lucinda to Mexico for the Primer Congreso Munial de Amaranto was a coordinated group effort on very short notice. We were not going to let this wonderful opportunity slip by. Besides the contribution from Friends of Ecuador, others gave to cover bus fare and other transportation costs, meals, and more expenses. Alana Mockler, mentioned in the report, is a former Global Citizen Year participant who was hosted by Lucinda and her family while she served in Ecuador. She helped raise money. When Lucinda arrived in Mexico DF, she was met by Slyler Narotsky, another former Global Citizen volunteer and member of Mushuk Yuyay, and by Juana Chuma who is a member of the the Cañari community. Both are students in Mexico City. They put Lucinda on the bus to Puebla. Former president Correa is barred from running from re-election after the recent referendum. There were also big victories to discourage mining and oil drilling in indigenous areas. When Rafael Correa, Ecuador’s combative socialist president, decided not to run in his country’s 2017 presidential election, the move was widely interpreted as a tactical retreat. 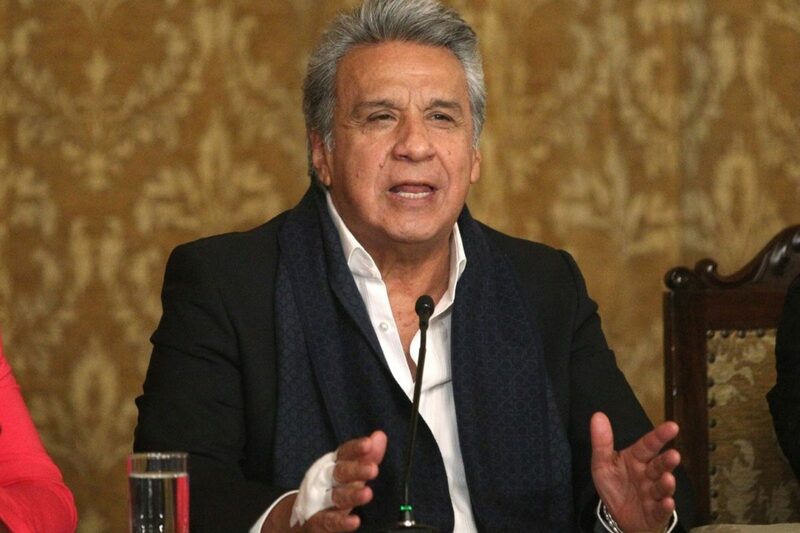 The strategy, commentators agreed, was to let his protege, Lenín Moreno, keep his seat warm for a single term — and take the blame for the country’s stalling economy — while Correa’s approval ratings recovered ahead of a triumphant return in the 2021 election. But if that was the plan, it has backfired spectacularly. Ecuadorans voted overwhelmingly on Sunday to approve constitutional changes that bar Correa from ever becoming president again — and bury significant chunks of his legacy. According to preliminary results, with 89 percent of ballots counted, 64.3 percent of voters backed a proposal to limit public officials to a single reelection, leaving Correa unable to run again. 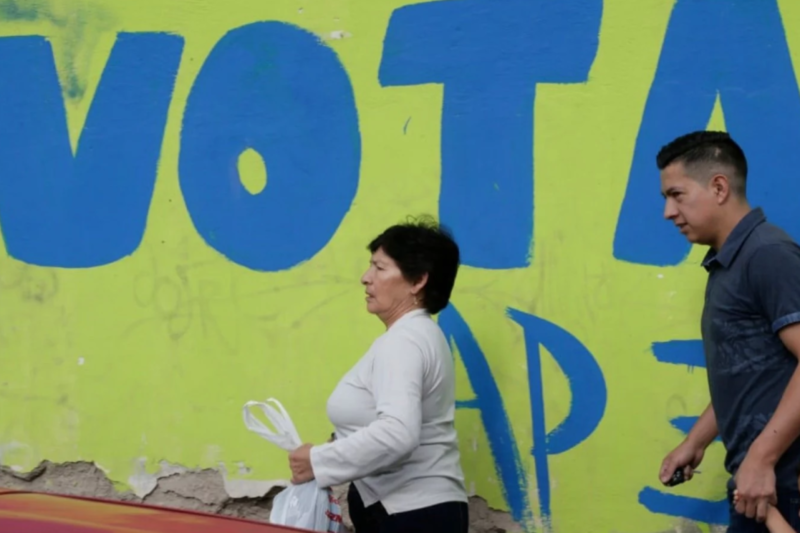 The referendum also included proposals to reverse two flagship Correa policies that had long infuriated Ecuador’s powerful indigenous movement. One proposal, to roll back mining in urban and protected areas, was approved with 68.9 percent of the vote. Another, to curb oil drilling in the stunningly biodiverse Yasuni National Park, home to some of the last indigenous people living in isolation anywhere in the Amazon, received 67.6 percent. President Trump’s budget proposes cutting Peace Corps. Congress has the power to appropriate and largely disregarded the Trump budget last year, but it takes energy and calls to Congress to remind them to support Peace Corps. 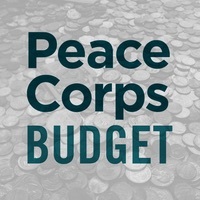 The President’s budget for fiscal year 2019 was released today and it proposes a budget of $396 million for the Peace Corps. After already requesting a $12 million cut in fiscal 2018—the deepest from a White House in over 40 years—the 2019 request further reduces Peace Corps’ budget by another $2 million. RAFAEL CORREA, like Vladi­mir Putin, Hugo Chávez and other authoritarian rulers, found himself stymied by term limits. So in 2015, the Ecuadoran president persuaded his legislature to lift a ceiling of two presidential terms by promising not to run in 2017. His idea was to install a follower for four years and then return to power, as Mr. Putin once did. 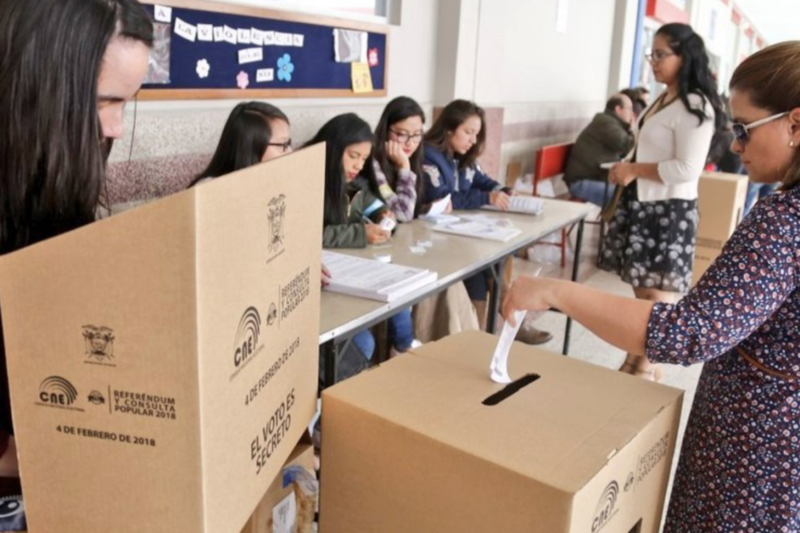 Then, on Sunday, came a much-deserved comeuppance: Ecuadoran voters, prompted by Mr. Correa’s own successor, voted overwhelmingly to restore a two-term presidential limit, thus blocking the planned second act. It was a victory for democracy not just in Ecuador but also in a region where numerous rulers have sought to entrench themselves in power. 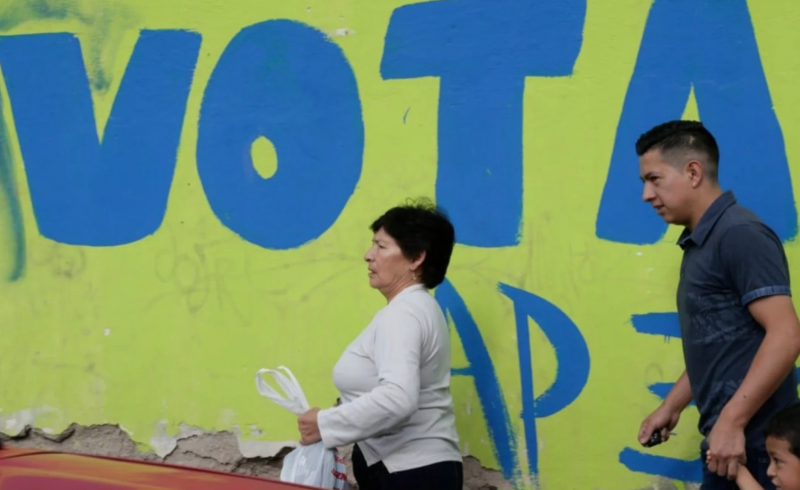 Voters elsewhere in Latin America appear eager to push long-serving leaders out of power; the problem is that the caudillos aren’t listening. Bolivian President Evo Morales lost a referendum to remove his term limit, but then induced the supreme court he appointed to void it. Daniel Ortega of Nicaragua and Honduras’s Juan Orlando Hernández similarly manipulated their courts. After extracting permission to run for reelection, Mr. Hernández most likely stole Honduras’s election last November. 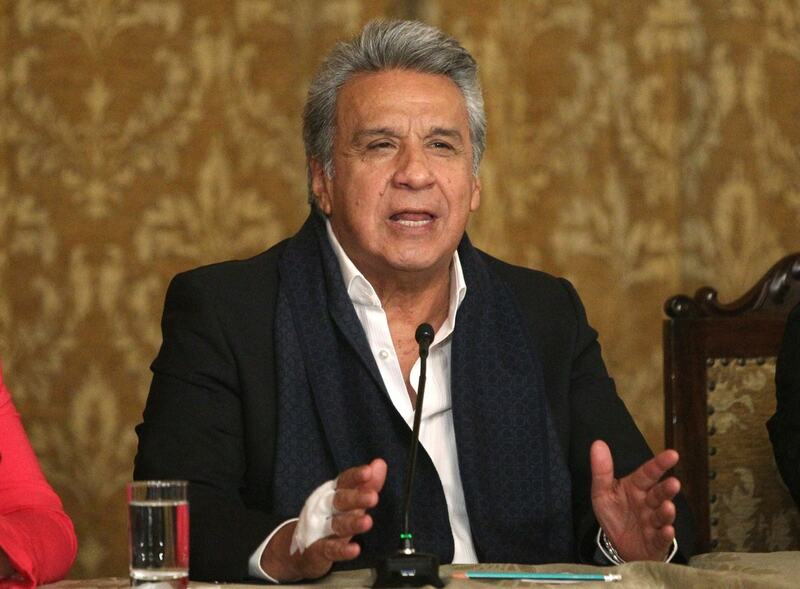 Observers generally are pleased with the new president Ecuador and think the referendum was a positive break between the new president Lenin Morena and his predecessor Correa, who came from the same political party. Since our last newsletter, Ecuador held a historic referendum which limited the ability of former president Correa to return as president, but it also entailed restrictions on oil drilling in Yasuni Nationa Park. Lots of discussion about what this might mean in practice. In a recent referendum, 67.5 percent of Ecuador’s voting population voted in favor increasing Yasuní National Park’s Intangible Zone by at least 50,000 hectares and reducing the oil extraction area in the park from 1,030 to 300 hectares. Ishpingo Field, which forms part of Block 43 of the Ishpingo-Tambococha-Tiputini (ITT) Initiative, is the only field that has not yet been exploited. Drilling was slated to begin there in mid-2018, but the referendum’s “yes” vote may prevent exploitation. Ishpingo is located on Yasuni’s Intangible Zone, which protects Indigenous communities living in voluntary isolation. Environmentalists hope that a technical commission will be formed to define where the Intangible Zone will expand. Ecuador in the Movies? But a Bad One. I was getting my tires changed and saw this terrible Amy Schumer/Goldie Hawn movie Snatched wason. They go to Ecuador! Ecuador! BUT, Ecuador is treated as cliched developing country punching bag in this unfunny comedy. Oh well. What’s the best movie that features Ecuador? Have you found Ecuadorian friends on Facebook? 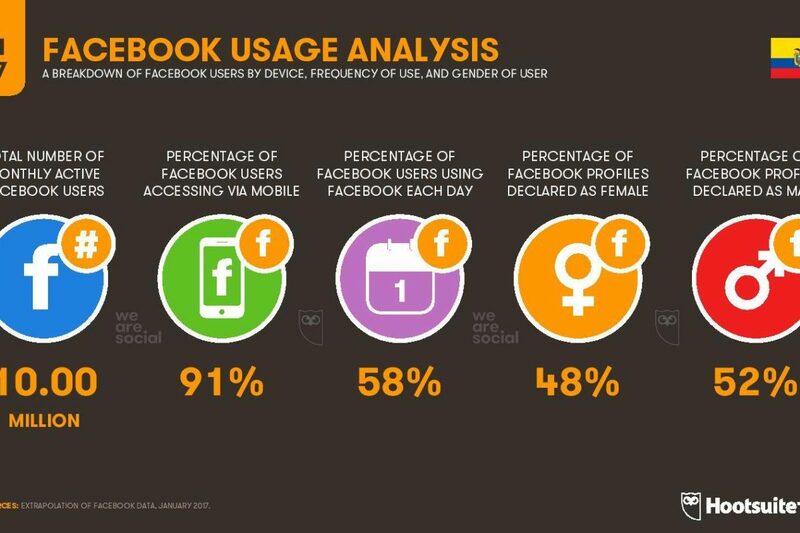 When I went and visited Ecuador last summer for the first time in almost 20 years, I found that many people are on social media. If not the parents I knew when I served, their kids are, and they are all grown up. If you haven’t tried to find Ecuadorian friends on Facebook, search for their names! 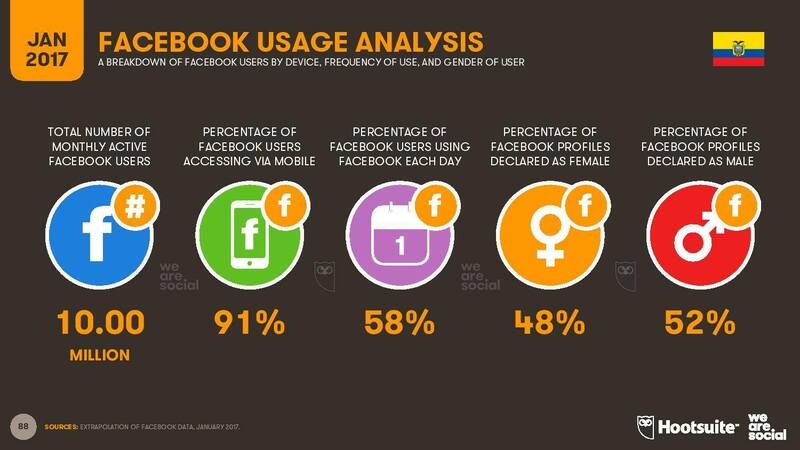 By one account, nearly 60% of the population in Ecuador, nearly 10 million Ecuadorians, are on Facebook! Once you friend a few, others will likely friend you! I feel like I have a better appreciation for what people are doing than I ever did. Soccer games, weddings, birth announcements, trips on horseback to the Paramo, dances, funerals, vacations, hospitalization, I’ve seen it all. Ecuador’s Vice President Jorge Glas was jailed on Monday after the Supreme Court ordered his arrest while he is investigated for allegedly taking bribes from a Brazilian construction giant involved in a sprawling regional graft scandal. Apparently, evidence has been recently submitted against him. Ecuador’s Inspection Commission has convened with assemblyman Roberto Gomez Alcivar, the trial judge presenting evidence in the impeachment hearings against suspended Vice-President Jorge Glas.